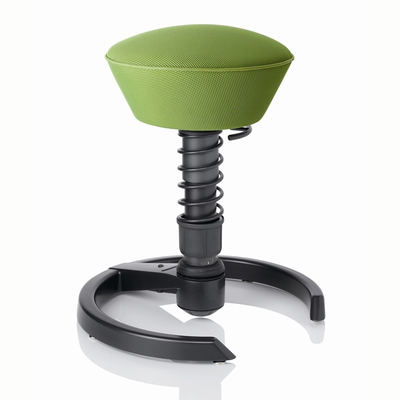 This Swopper is a truly unique and well thought out motion seating stool. We all know that the human body was designed to stay moving. Sadly we now spend so much time sitting that the next best thing is a motion chair that keeps your body fluid in the sense that it is moving around while you work. The Swopper Air, like the Classic Via Seating Swopper will help you develop your core strength and improve your blood circulation. 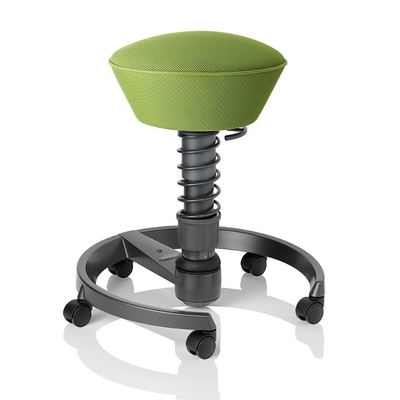 The Swopper Air design was the first true ergonomic office chair in the world to move in all three dimensions. 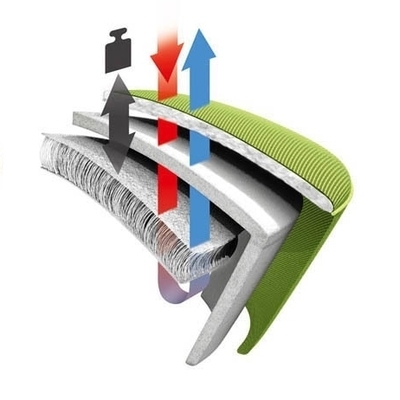 This Swopper Air version is built with a high tech 3DEA spacer fabric which is a 3-D textile that consists of top and bottom layers of performance fabric held at a clearly defined distance by pressure-sensitive threads. The Swopper Air is Made in Germany and carries the famous Forever Warranty.